This is a very simple dish but is a comfort food for me. I remember eating this as a child but for some reason, it has been a while since I prepared this salad. Today, it just came to my mind and I started carving for it so I made it and paired it up with some curry. It might not be very special for everyone but it is close to my heart so I thought I’ll share this recipe. Leftovers can be stored in the fridge for a few days, salad doesn’t lose taste with time. It takes about 15 mins to prepare this salad. It can be served as a side dish or an appetizer. You can eat this just by itself with some steam rice and it would be heaven for you. It also works well for a snack when you need to make something tasty fast. 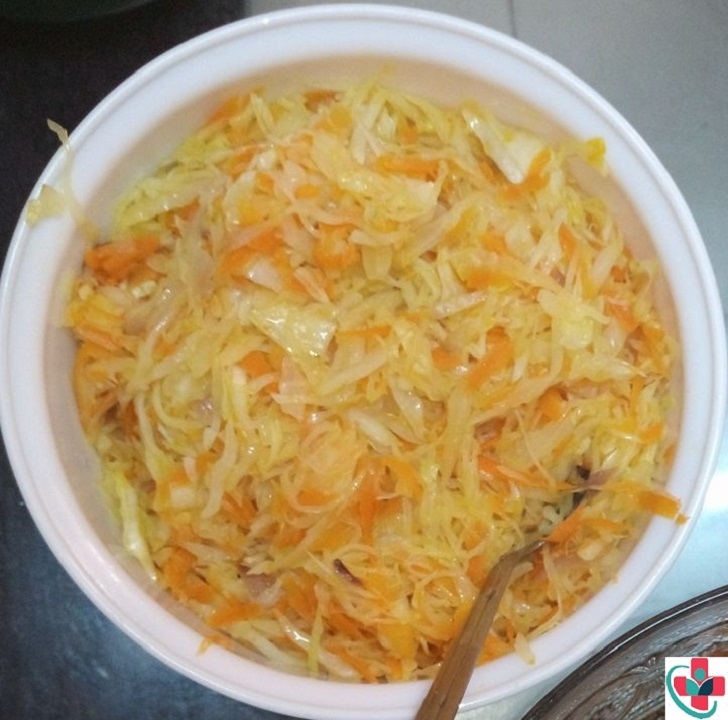 Prepare ingredients: Cabbage and Carrots Salad Recipe, Remove top leaves from cabbage, shred it fine (remove stem part). Put shredded cabbage in a bowl, portion by portion, salt each of portions to taste; squeeze cabbage with your hand to soften it, then set aside. Then serve as a side dish or appetizer. Enjoy!